to hear of your victory in Saturday's election". election adding that, "it was an impressive victory for the people of Ondo state". 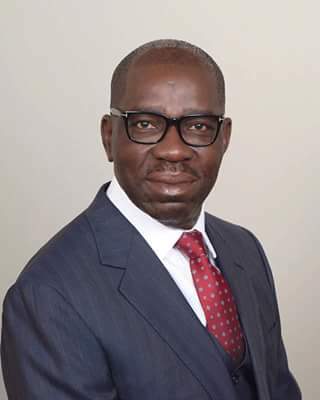 Obaseki in a statement endorsed by his Chief Press Secretary, Mr. John Mayaki said, "I have followed your career for years and was excited to read about your political victory. people of your state and the nation as you perform the duties of the Governor of Ondo state upon assumption of office. the country, leading it on the path of development and prosperity. fields of security and economy will strengthen both states. values of our state and the nation".